When you feel the time is right to get new windows for your Toronto home; you should sit down and give some thought to exactly what you want from them. One advantage of vinyl replacement windows is that you can significantly improve your view. However, you should be aware that there are many more benefits for you to enjoy when you choose to install vinyl replacement windows in your home. Read on to discover how you can benefit from vinyl windows. The traditional choice of window frame material is wood. While wood is certainly beautiful, there are many other considerations besides mere appearance to think about. Did you know that wood is heavy, not only in weight, but also in maintenance requirements? Wood windows must be painted, stained, or varnished every couple of years for maximum beauty and durability. Another fault of wood, is that it is prone to swelling or warping, making your windows unable to open and close properly. 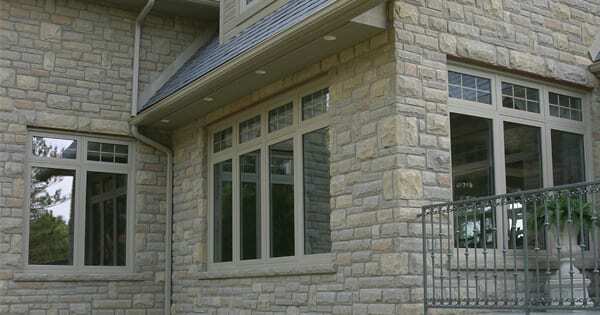 In recent years, vinyl windows have become the most popular choice for replacement windows in Toronto, ON. Ease of maintenance certainly has a lot to do with this. Vinyl replacement windows look excellent even after many years of use. With vinyl windows, there is no such thing as a tedious maintenance regimen. All vinyl replacement windows require to stay looking brand new is a simple wipe-down with soap and water or some vinyl-cleaner! Typically, vinyl replacement windows have multiple glazings. These multiple glass panes are ideal for providing your home with maximum insulation capabilities. Double glazed windows have a layer of air (or gas) between the panes which provide a higher degree of insulation for your home. This feature works by holding the heat inside during winter, and increasing the effectiveness of your A/C unit in the summertime. Generally, homeowners purchase double pane windows for their home. However, triple pane windows are becoming increasingly more common, especially against the dramatic temperatures we get here in Toronto. In addition to providing better comfort, multiple glazings on your windows will also help you save on your energy costs. For homeowners on a budget, it is good to know that the price you will pay for vinyl windows is much lower than of any other material. With the many benefits vinyl replacement windows offer, they are truly a fantastic bargain. What is more, they will last longer, save your home on heating and cooling costs, and require less maintenance than any other window. What better upgrade could you consider for your Toronto home than vinyl replacement windows? 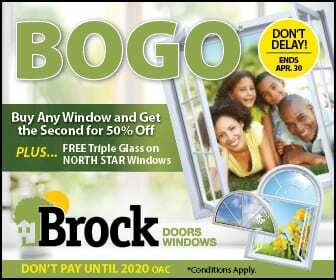 Brock Doors and Windows has been assisting homeowners just like you, with quality installations for over 26 years. Let us give you a hand with your replacement window project. Call us today for your free consultation!